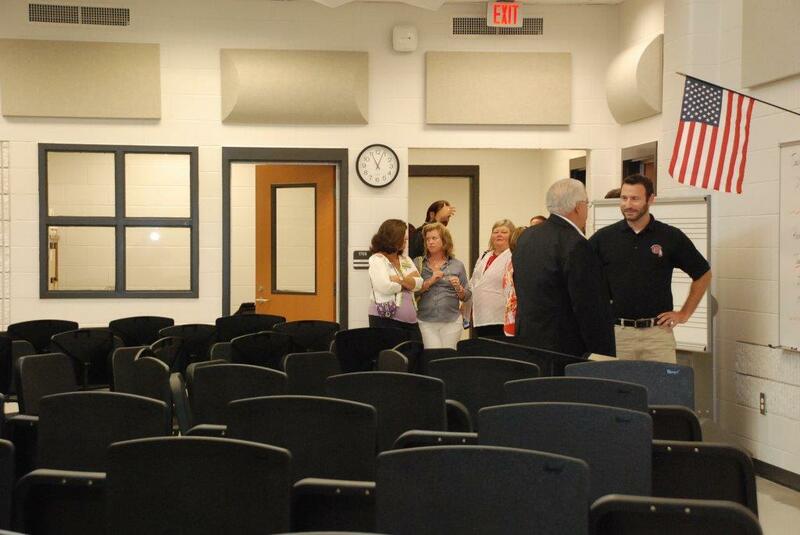 Parents, students, teachers, and faculty alike have been eagerly anticipating the new Teasley Middle School. 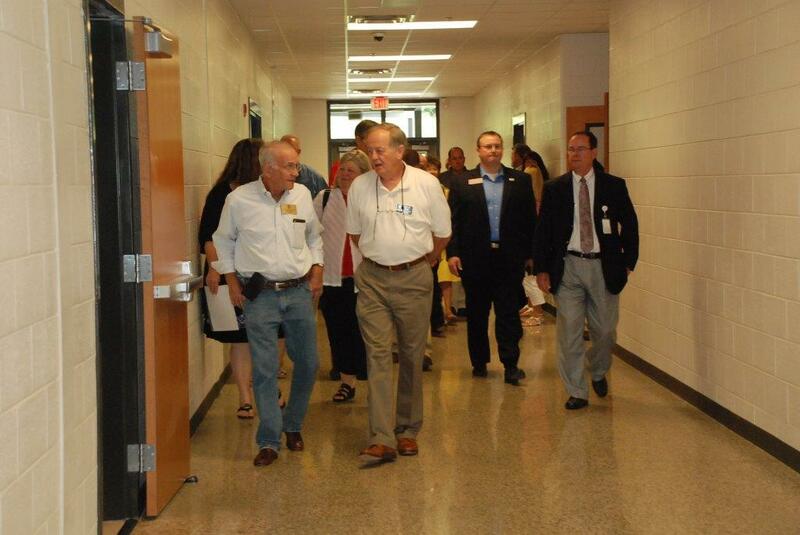 The state of the art facility will serve more than 1,350 students starting on Monday, August 4th. 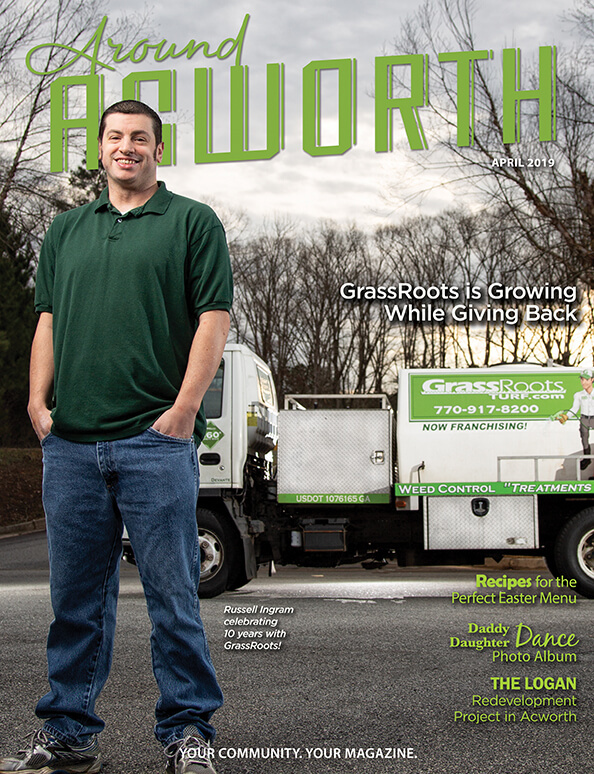 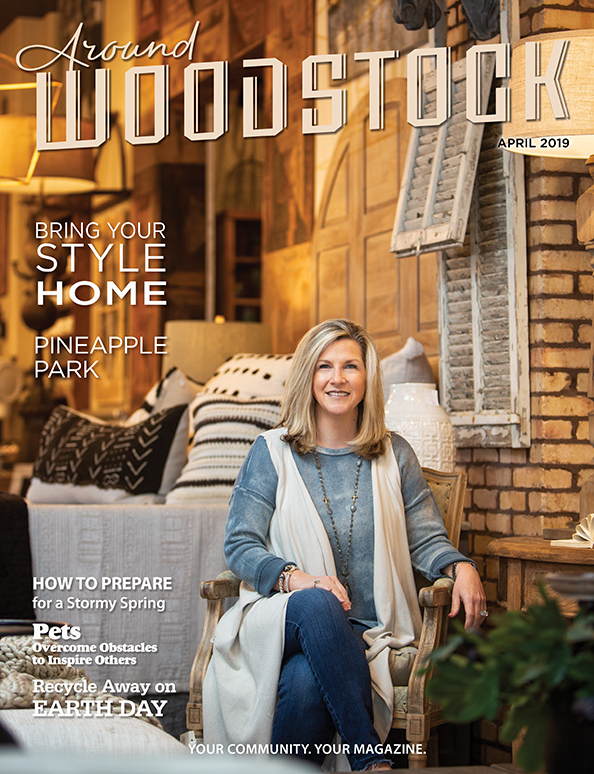 The 239,750 square foot facility is situated on a 47-acre campus and is configured for middle school grades 6-8 to all learn on the same campus. 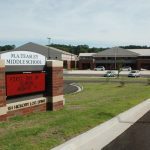 For its first year, class sizes are projected to be 459 sixth-graders, 461 seventh-graders, and 486 eighth-graders. 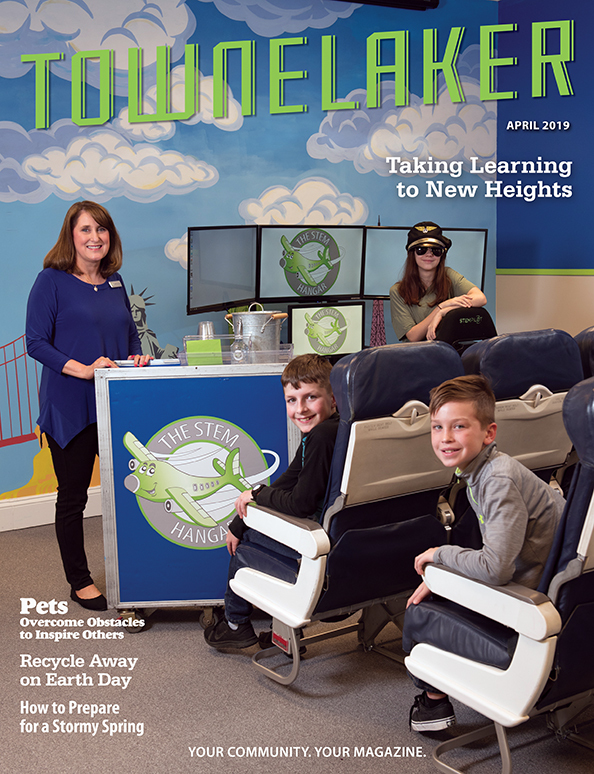 Students attending the new school can look forward to classrooms that all feature smart boards, computers, and additional technology to facilitate 21st century learning. 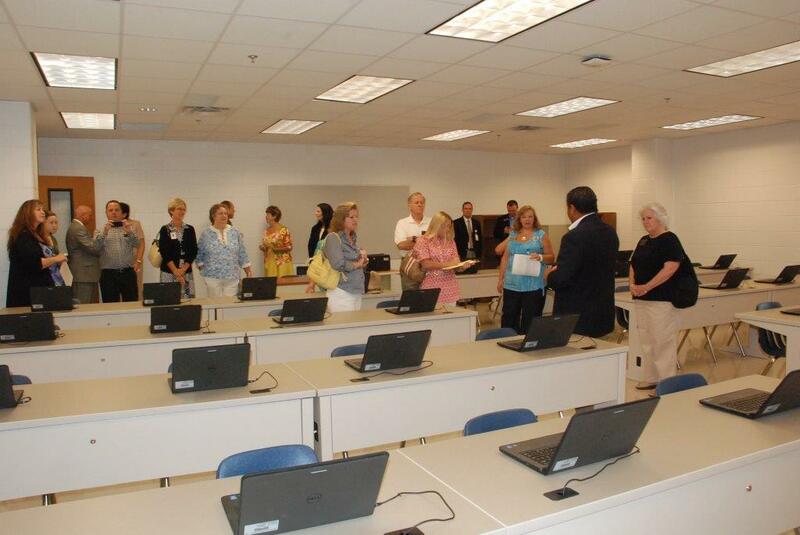 The new media center features CCSD’s new prototypical digital learning-friendly design. 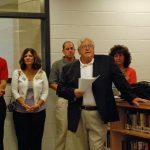 The former Teasley MS campus will be open for the 2014-2015 school year as the home of the new ACE Academy, CCSD’s daytime alternative middle school and high school program. 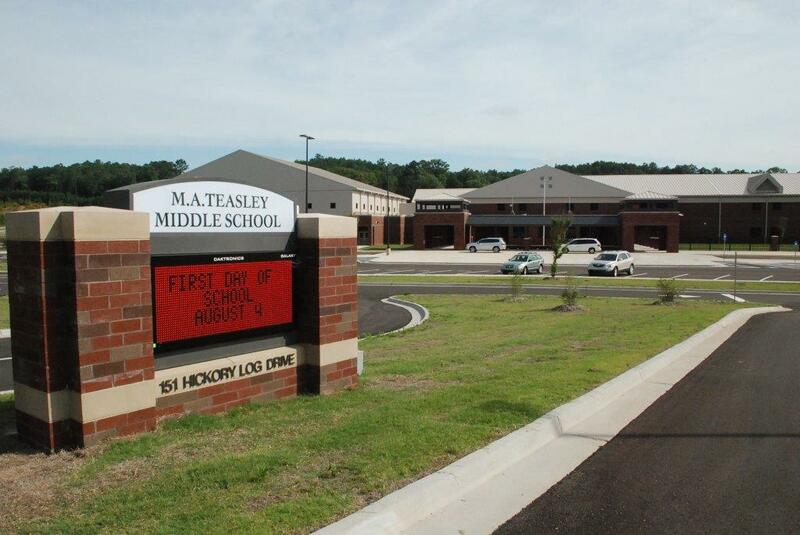 The new/replacement Teasley Middle School is ready to welcome students for the first day of classes on Monday, Aug. 4, 2014. 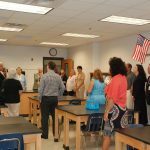 The Cherokee County School Board and local leaders toured the new campus during a special event on July 22. 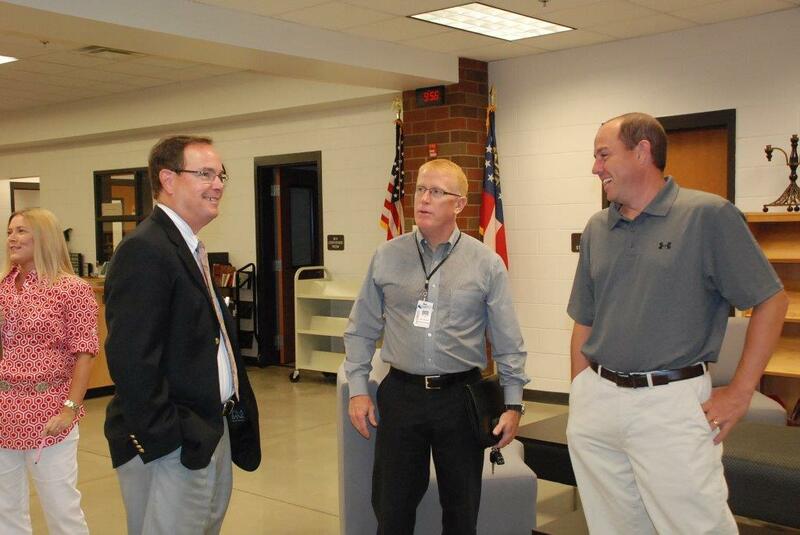 Cherokee County School District Deputy Superintendent Dr. Brian Hightower, center, talks with Woodstock Mayor Donnie Henriques, left, and School Board Member-Elect John Harmon. 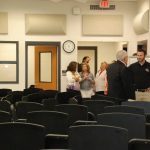 Dr. Petruzielo discusses the various attributes of the new school while School Board Members, from left to right, Robert Wofford, Janet Read, John Harmon (Member-elect) and Patsy Jordan listen. 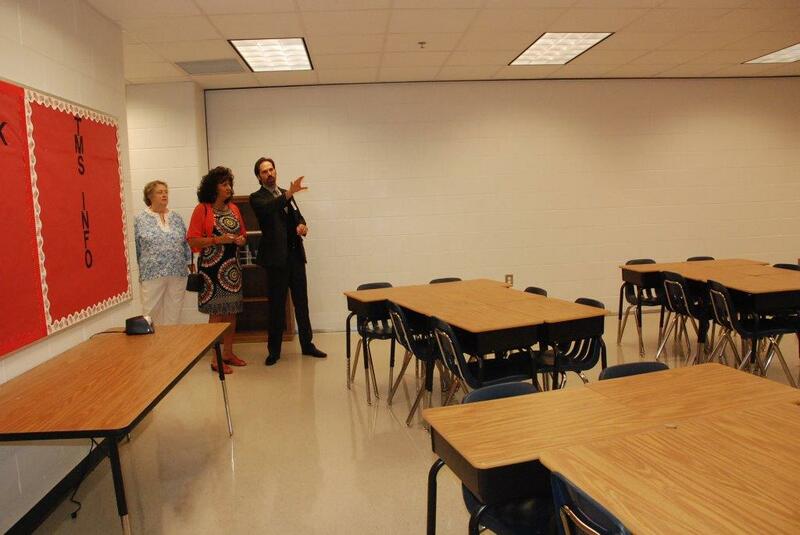 Teasley MS Assistant Principal Dr. Ben Lester points out features to School Board member Patsy Jordan and Waleska City Councilwoman Mary Helen Lamb, who was one of the teachers who opened the original Teasley MS 28 years ago. 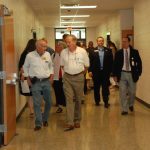 From left to right, County Commission Chairman Buzz Ahrens, Canton Councilman John Rust, State Rep. Scot Turner and Woodstock Mayor Donnie Henriques. 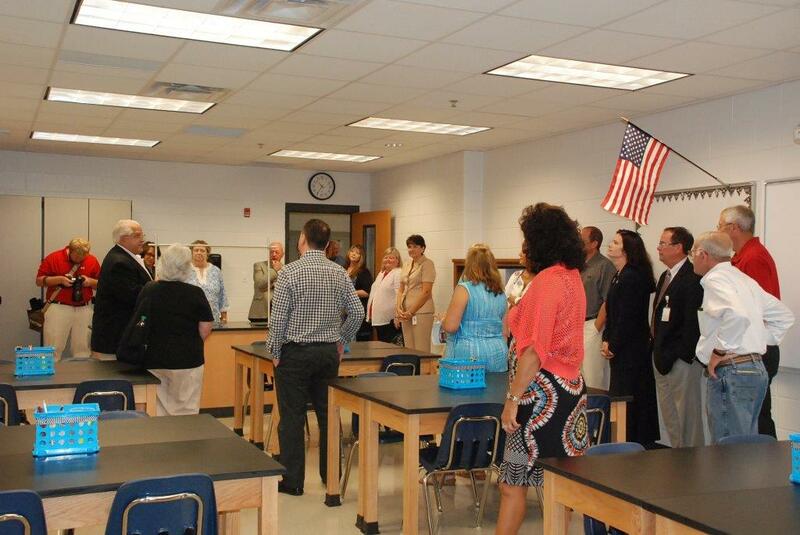 Leaders including State Rep. Mandi Ballinger, standing under the U.S. flag, tour a science lab. 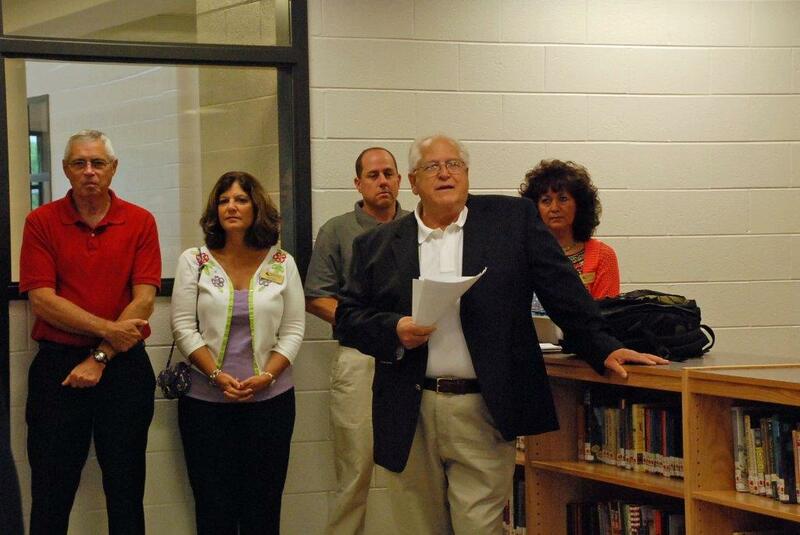 Dr. Petruzielo talks about the features of the new band room with Teasley Band Director Sean Furilla. 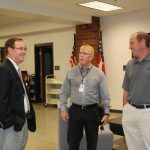 Assistant Superintendent for Accountability, Technology and Strategic Planning Bobby Blount describes some of the capabilities of a laptop lab in the school. 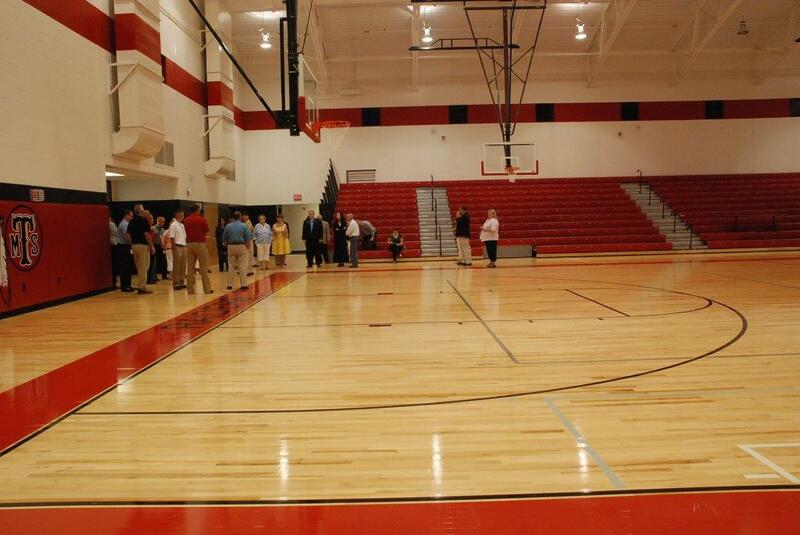 The new gymnasium, which features much greater seating capacity, as well as air conditioning (which the previous school gym did not have).